Amazon is pushing Alexa into the workplace as an A.I. smart assistant. Alexa for Business aims to automate tedious office tasks like checking calendars, reordering supplies, and setting up meetings. Cisco and Microsoft have similar ideas on voice-activated A.I. assistants, putting them to work on mundane tasks such as starting videos or booking meeting rooms. Cisco released Spark Assistant and Microsoft revealed Cortana. 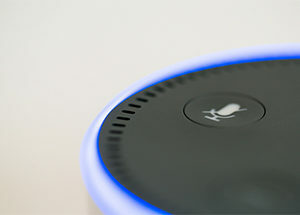 IDC research director, Wayne Kurtzman, says that “voice will very much have a big part to play in how we collaborate and work over the next 10 years.” He adds that the Alexa and Cisco announcements are key factors of this claim. Something to look out for in the office.